Venezuela’s national assembly is debating a reform to its breastfeeding law which could see baby food companies like Nestle fined in certain situations. The corporate media have reacted hysterically to the law, claiming that President Nicolas Maduro is “taking bottles from babies’ mouths”. Though breastfeeding is widely promoted by the Venezuelan government, and public breastfeeding is relatively de-stigmatised, a study by Venezuela’s National Nutrition Institute (INN) between 2006 and 2008 showed that only 55% of mothers exclusively breastfed when their baby was born, going down to 20% when their baby was three months old, and 11% by six months. The percentages have probably increased since then, with broad educational campaigns in public schools and health centres, and actions such as mass public breastfeeding in plazas, organised by the INN. However, the low figures reflect the low confidence some mothers have in their ability to breastfeed, as well as the power of multinational infant formula companies in health centres. It is common practice to give infant formula to babies from the moment they are born, without the consent of parents, according to LactArte, a pro-breastfeeding collective in Venezuela. Companies give gifts and other promotions to health workers and health centres in order to create alliances with them, and give free samples of the products to new mothers, thereby creating dependent consumers of new born babies, or at least discouraging exclusive breast feeding. 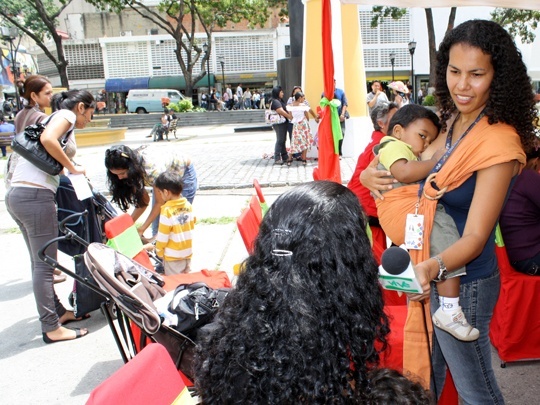 In 2007 Venezuela’s national assembly passed the Law of Protection, Promotion, and Support for Breastfeeding. The law regulates the way baby formula and baby food companies advertise and label their products, and how they interact with hospitals and clinics. However, the companies have been ignoring the law, as it doesn’t specify penalties. The reform to the law currently being discussed is looking at penalties of US$600 – $50,000, and also training for health professionals. Once the reform is passed in first discussion by the assembly, it will be subject to “street parliament” – discussion by collectives and Venezuelan citizens, to then be passed by the national assembly in second discussion. The 2007 law argues that breastfeeding provides babies with “all the necessary nutrients” in their first six months, as well as “protecting them and immunising them from illness and contributing to the development of their breathing and gastrointestinal capacity”. It states that “mothers have the right to breastfeed their children, with the support and collaboration of the fathers… [who] should provide all the support necessary so that mothers can provide this human right… The state, with solidarious participation from organised communities, will promote, protect, and support exclusive breastfeeding…of children under six months of age and breastfeeding with complementary food … until the age of two”. Concretely under the law, health workers and health centres must help mothers start breastfeeding within the first half hour of birth, and guarantee that the newborn is always near the mother after birth, except in exceptional medical situations. They should also educate mothers, fathers, and the family on the issue, and abstain from providing babies under the age of 6 months with food other than breast milk, except when there is a specific medical need. Health centres must create human milk “banks”. 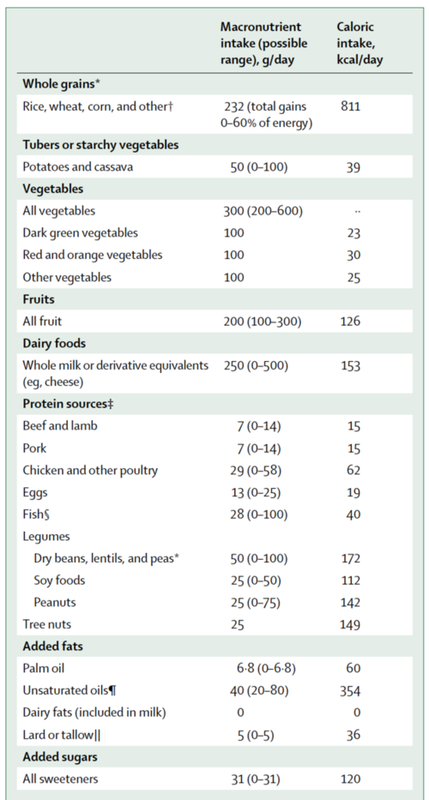 Baby food and formula products must be in Spanish or Venezuelan indigenous languages (Nestle products for example, often aren’t), and they should inform of the risks of including such food in the baby’s diet too early. Publicity or labelling can’t create the impression that such food is equal to breast milk, and publicity of any kind discouraging breastfeeding is not allowed. All food aimed at children under three must include labelling that clearly states its ingredients, including any GMO products, and milk formulas must including a warning that “breast milk is the best food for children under two years old”. Samples, prizes, and promotions of baby food and formula are prohibited. Likewise, companies are prohibited from donating toys, books, posters or other products which promote or identify their company to health centres, and they are also prohibited from donating “gifts” to health centre workers and from sponsoring events or campaigns aimed at pregnant or breastfeeding women, fathers, health professions, families, and communities. Last year, with the passing of the new labour law, women’s breastfeeding rights were further expanded. Post-natal leave was extended to six months, and articles 344-352 state that mothers have the right to two half hour breaks per day to breastfeed. If there is no breastfeeding room provided by the work place, that is extended to two 90 minute breaks, and all employers of more than 20 workers must maintain a nursery centre with a breastfeeding area. For Luisa Calzada and Kaustky Garcia, of LactArte, breastfeeding is also an act of food sovereignty – that is, third world productive or economic independence from greedy transnationals. Garcia argued that such sovereignty has been “sabotaged” in Venezuela by the “transnational industry dedicated to the business of infant formulas”. Indeed the industry is huge here – visit any supermarket or corner shop and you’ll see full aisles or shelves of powdered baby milk formula and compote. LactArte supports a boycott of Nestle, one of the main powdered milk formula companies here, producing the infamous Cerelac since 1886. They argue that there is“collusion” between the baby food industry and the medical industry, with the food transnationals enlisting an “army of health professionals” to sell baby formula. According to Business Insider, infant formula is an $11.5 billion market. 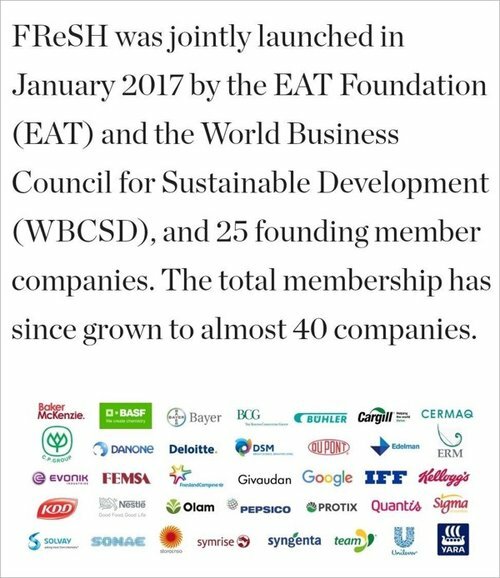 The International Baby Food Action Network (IBFAN) claims that Nestle, apart from distributing free samples of its products in maternity wards, also uses “humanitarian aid” to create markets, and offers gifts and sponsorship to influence health workers to promote its products. According to a 1982 New Internationalist article, Nestle makes mostly third world mothers dependent on its formula in three ways: “Creating a need where none existed, convincing consumers the products are indispensable, and linking products with the most desirable and unattainable concepts- then giving a sample”. The 2007 law and the draft reforms do not ban the production or sale of baby food or formula, as national and international media have alleged, nor do they apply any fines to mothers or penalise any choices regarding her body that a mother may make. The penalties are only for health care centres and their workers, and baby food and formula companies. However the corporate media over the last two weeks has completely distorted the issue. Fox News Latino headlined “Venezuela Wants To Ban Baby Bottles To Promote Breast-Feeding” and stated that “Motherly love has become a state affair in Venezuela”. Growing Your Baby also headlined “Venezuela considering baby bottle ban”, and opened with the utterly misinformed and misleading question, “What would you do if you woke up one morning and learned that baby bottles were no longer being made or sold in your country? This question may become a reality for Venezuelan moms who may not have planned on breastfeeding”. Reuters won the prize however for manipulation and sensationalism, with the headline “Venezuela considers taking bottles from babies’ mouths”, while other agencies have carried similar titles along the “banning” theme, with CNN’s article “Venezuela considering a ban on baby bottles” and Huffington Post ‘Venezuela considers baby bottle ban to encourage breastfeeding’. Al Jazeera went as far as to argue in its piece that “some mothers don’t want the government telling them how to feed their children”. If Al Jazeera had bothered to read the 2007 law, it would have discovered that is actually the point of the law – to stop companies interfering, through misleading information and other gimmicks, in the breastfeeding process. Venezuelan corporate press and other Spanish language media have been equally manipulative. Here is a small selection of their headlines: EFE: “Venezuela is debating a law to prohibit baby bottles”, Semana: “Baby bottle and dummy: the new enemies of Chavismo”, El Pais: “The Venezuelan government wants to oblige mothers to breastfeed”, El Popular: “Venezuela: Nicolas Maduro wants to eliminate the use of baby bottles”, Noticias24 “They’ll prohibit baby bottles in health centres of Venezuela in order to force breastfeeding”, El Mundo, “Venezuela declares war on the baby bottle”, and Entornointeligente, “Goodbye to baby bottles for stimulating breastfeeding”. Garcia argued that the media campaign to demonise the law and the proposed reforms is being pushed by the milk formula industry. She said it has had an impact in Venezuela, with “many women, even those not using baby bottles, feeling scared”. “They are worried that the government is going to try to help them to breastfeed, that the government will take away their baby bottles and infant formulas, and is going to prohibit them from feeding their infants with baby bottles, but that’s absolutely false. First of all it’s unpractical, and secondly it is this government which has most given freedom and provided information so that families can freely chose the path they desire for their children,” she said. The World Health Organisation recommends that babies be exclusively breast fed during the first six months, and in 1981 the 34th World Health Assembly adopted a resolution which included the International Code of Marketing Breast-Milk Substitutes. Funnily enough, it stated that food companies shouldn’t promote their products in hospitals, give free samples to mothers, or provide misleading information. One wonders if these international bodies were also accused of “stealing the bottle from babies mouths”, or is that sort of rubbish reserved for countries like Venezuela where a revolution is trying to get some justice at the expense of the poor transnationals?